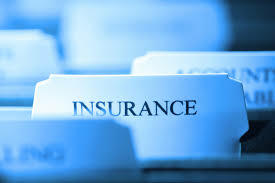 Life insurance has many uses, including income replacement, business continuation, and estate preservation. 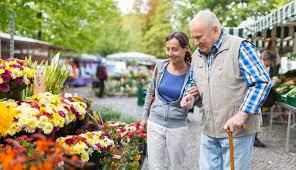 Long-term care insurance provides financial protection against the potentially high cost of long-term care. If you find yourself in need of both types of insurance, a life insurance policy that combines a death benefit with a long-term care benefit may appeal to you. available for an additional charge. If you buy this type of policy, you can pay the premium in a single lump sum or by making periodic payments. In any case, the policy provides you with a death benefit that you can also use to pay for long-term care related expenses, should you incur them. The amount of death benefit and long-term care allowance is based on your age, gender, and health at the time you buy the policy. The appeal of this combination policy lies in the fact that either you’ll use the policy to pay for long-term care expenses or your beneficiaries will receive the insurance proceeds at your death. In either case, someone will benefit from the premiums you pay. The long-term care benefit is added to the life insurance policy by either an accelerated benefits rider or an extension of benefits rider. reduced by the amount you use for long-term care expenses, plus a service charge. If you need long-term care for a lengthy period of time, the death benefit will eventually be depleted. This same rider also can be used if you have a terminal illness that may require payment of large medical bills. Because accelerating the death benefit can have unfavorable tax consequences, you may want to consult your tax professional before exercising this option. Depending on the issuer, the extension of benefits rider either increases the total amount available for long-term care (the death benefit remains the same) or extends the number of months over which long-term care benefits can be paid. In either case, long-term care payments will reduce the available death benefit of the policy. However, some companies still pay a minimum death benefit even if the total of all long-term care payments exceeds the policy’s death benefit amount. Continuing from the previous example, if the policy’s extension of benefits rider increases the long-term care benefit (the death benefit–$87,000–remains the same) to three times the death benefit ($261,000), the monthly amount available for long-term care increases to $7,830. On the other hand, if the extension of benefits rider extends the length of time the monthly long-term care benefit is available, then the monthly payments ($2,610) are extended for an additional 24 to 36 months beyond the initial number of months (33.3) available. Typically, qualifying for payments under a long-term care rider is similar to the requirements for most stand-alone long-term care policies. You must be unable to perform some of the activities of daily living (bathing, dressing, eating, getting in or out of a bed or chair, toilet use, or maintaining continence) or suffer from a severe cognitive impairment. An elimination period may also apply: you pay for the initial cost of long-term care out-of-pocket for a specific the number of days (usually 30 to 90) before you can apply for payments under the policy. As with all life and long-term care insurance, the insurance company will require you to answer some health-related questions and submit to a physical examination before issuing a combination policy to you. Is a combination policy right for you? much life and long-term care insurance will you need? How long will you need it? Will the long-term care part of a combination policy provide sufficient coverage? result in taxation of longterm care benefits received from the policy. you’re depleting the death benefit–a death benefit you presumably wanted to pass on to your heirs or perhaps use to pay for estate taxes. (such as income replacement during your working years) rather than permanent.